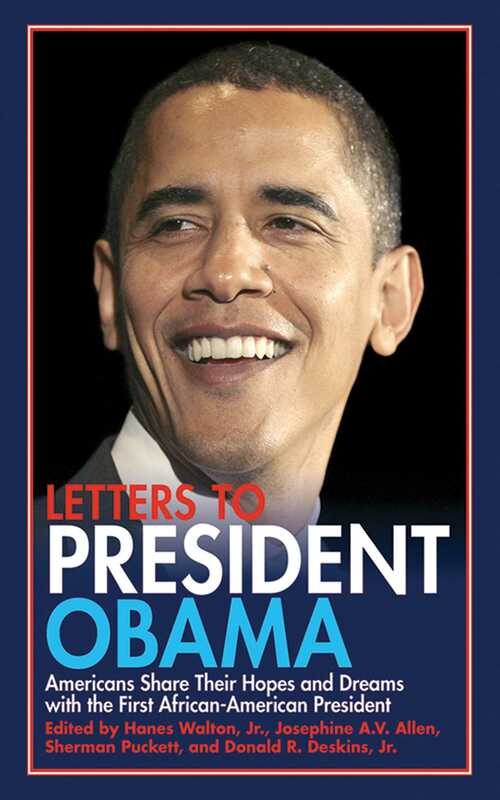 This collection, which will total between 300 and 500 letters from Americans of all walks of life, will become an important piece of history as it describes the variety of feelings and emotions of Americans about the election of Barack Obama as President of the United States. Central to the book is the African-American experience and the long road from slavery to the civil rights era to the twenty-first century, but Americans of every race, color, gender, and age will be represented. From children and seniors, from cities and farms, all we have something to say and much to share about how Barack Obama’s election was special to them.